I spent a lot of time this summer listening to audio books. It was not entirely of my own volition. I brought my 9 year old daughter with me to our camp for 3 weeks. Between our commute – about 30 minutes each way – and then our family trips to upstate New York and Downeast Maine at the end of the summer, we spent a lot of time in the car together. When I’m alone in the car, I tend to pass the time nurturing two of my nerdiest vices: NPR and music. My daughter, alas, has not really bought in to either one. So we immersed ourselves in the world of children’s audio books. Over the course of the summer, we went through 3 of them. 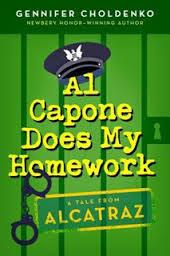 The first one was called Al Capone Does My Homework by Gennifer Choldenko. It was a sweet story about a 13 year old boy named Moose whose dad was a warden at Alcatraz Penitentiary. Moose was growing up on Alcatraz Island with a few other kids and families of the prison workers. 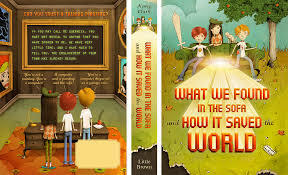 The book is part mystery and part coming of age tale. It manages to pull the listener in to a crime story at the same time the more emotional aspects of the book enable the listener to develop a connection to the narrative without being bludgeoned with sentimentality. Our second audio book of the summer was less satisfying. Being charitable, I’ll call the plot “convoluted.” The book is called What We Found in the Sofa and How It Saved the World by Henry Clark. While I did find myself curious to see how the tale would resolve, the book attempts to put a million science fiction concepts in a literary blender to form a coherent narrative. It’s a bit of a stretch. Certainly, I’ve heard worse but while we were listening to it, I found myself pining for the sultry voice of Nina Totenberg and the other NPR superstars. Then, on our trip up to Maine, my fortunes changed for the better. 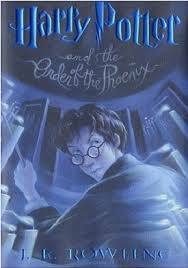 We listened to Harry Potter and the Order of the Phoenix by J.K. Rowling. The audio book is read brilliantly by Jim Dale and it reminded me of everything that makes the Harry Potter series so special. I started reading the series 15 years ago. The books were really catching on and it was the end of a camp season for us. I noticed that, instead of playing on their Game Boys or running around in the gym, many of our campers were spending their free time reading Harry Potter books. I was all for anything that would pique kids’ interest in reading but I wasn’t all that interested in reading them myself. On the last day of camp, one of our C.I.T.’s thrust his copy into my hands and told me “I know you’re going on a bike trip for your vacation. Take this with you. You can either read it or not read it. But you should read it.” I thanked him and grudgingly took the book, expecting to muddle through it and return it when I got back. Of course, I found myself loving the book and plowed through the entire series as it unfolded. I like to think that I’ve always made an effort to remember what it was like to be young. Maybe it’s just that I’m immature and my perceptions haven’t changed all that much anyway. But as youth drifts further and further back in my rear view mirror, sometimes my memories of childhood experiences become a little hazy. 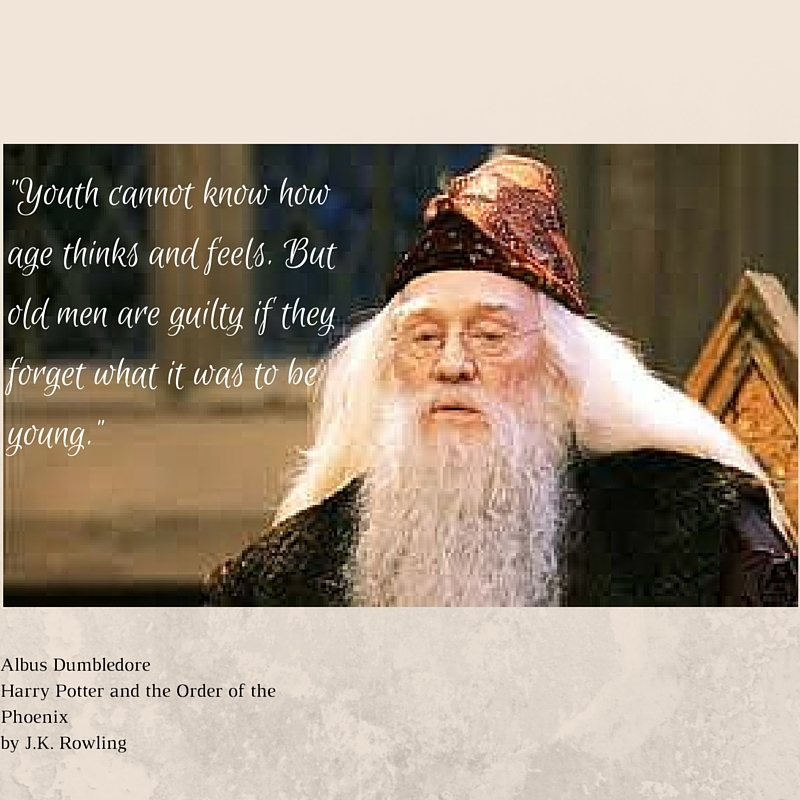 Personally, this old man is thankful for Dumbledore’s reminder of how important it is to hold that memory as close as possible. This entry was posted in Books, Children, Parenting and tagged Child Development, children. Bookmark the permalink.